Learn more, learn faster than agents. 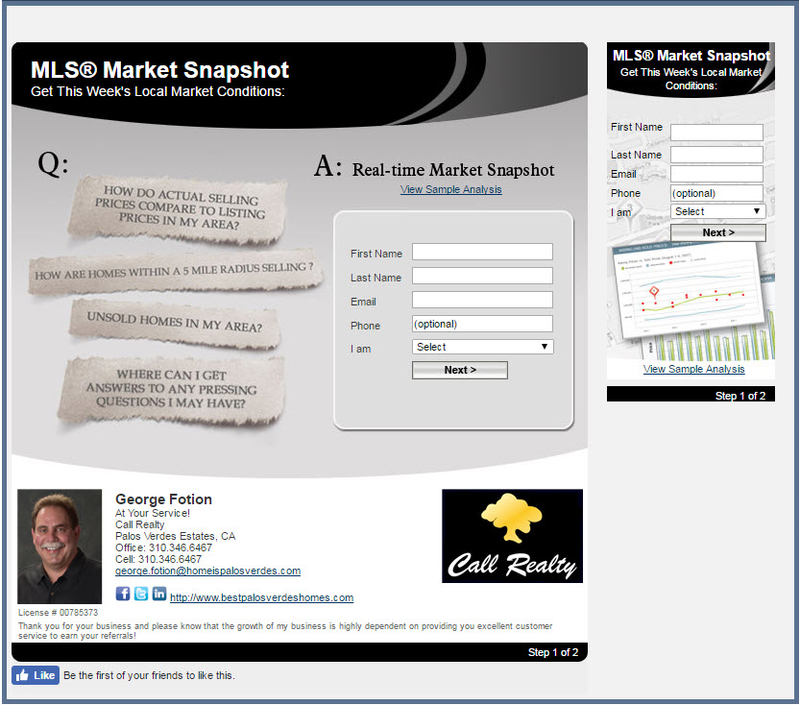 Whether you’re thinking of selling one of the Palos Verdes homes or South Bay real estate and want a leg up on market intel before you list OR you’re a buyer of Palos Verdes homes or South Bay real estate and want to know as fast and as much as possible about the newest listings, price changes and sales – this is the program, the Palos Verdes Homes Real Time Update, is you want. What’s more, you can even create your own searches within the program, name them and stay notified. Whether you’re a Palos Verdes homes or South Bay real estate owner thinking of selling your home in the future and wanting to keep tabs on competitive property to yours or a South Bay real estate buyer or Palos Verdes homes buyer wanting up the minute accurate information on the newest listings, price changes and sale data — this Palos Verdes Homes Real Time Update program is tailor made and customizes for you. AND it’s free. 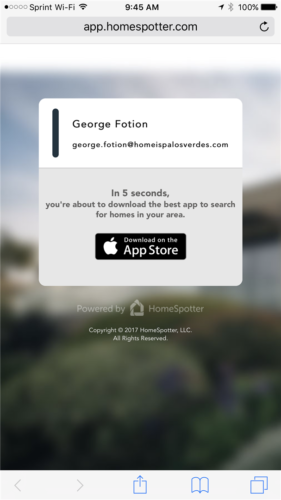 There’s been a huge update to the Palos Verdes Homes and South Bay area real estate automatic email notification platform. The changes are dynamic and provide you much more control over your Palos Verdes Homes search and/or South Bay area real estate criteria specific protocol. 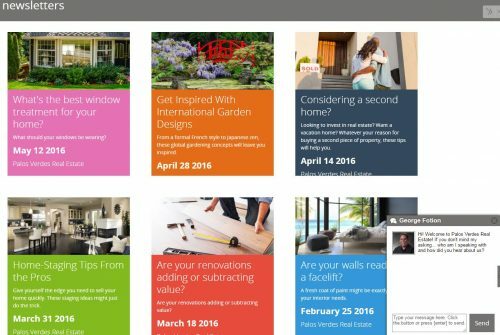 Here’s a video on the new Palos Verdes Homes Real Time Update platform. Continue reading below the video for some exciting ideas on how you can use this program. 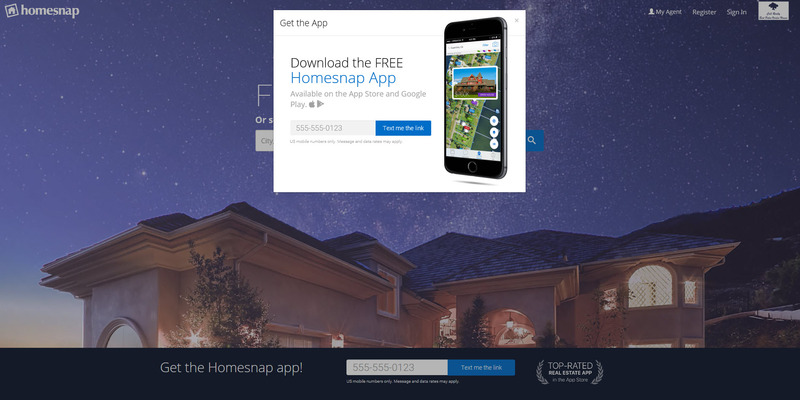 At the bottom of this page is a video showing a real time notification service that is critical to both Palos Verdes homes buyers (wanting information as fast as agents get it) and for sellers who are thinking of selling Palos Verdes homes and are wanting to keep tabs on their potential competition and what that might mean to the pricing of their own home. The Client Portal in CRMLS Matrix has been completely redesigned for today’s home buyer search for Palos Verdes homes or South Bay real estate. 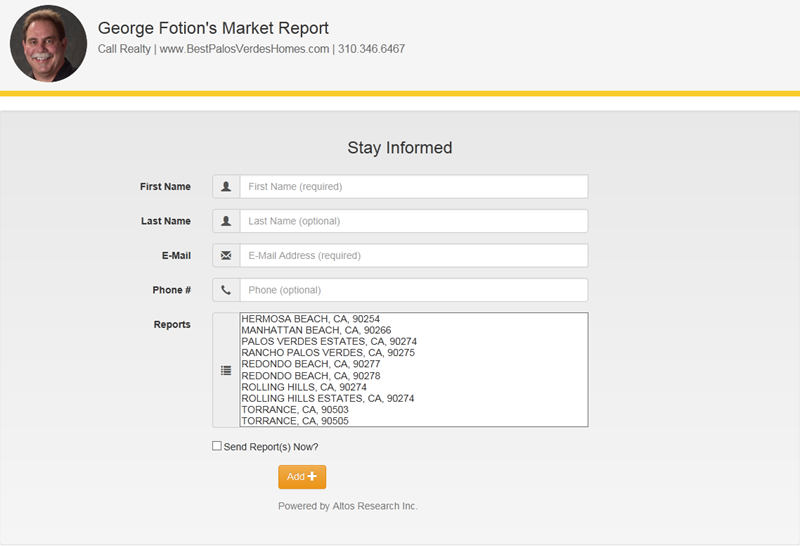 Your will now be able to use the Client Portal to manage the listings that I send you from CRMLS Matrix and create your very own Palos Verdes Homes or South Bay real estate property searches. The all new Agent Welcome Screen allows me to add a custom greeting message to your Client Portal and provides you with instant access to your auto emails, direct emails, saved searches, and listings that they you have marked as favorites and possibilities. 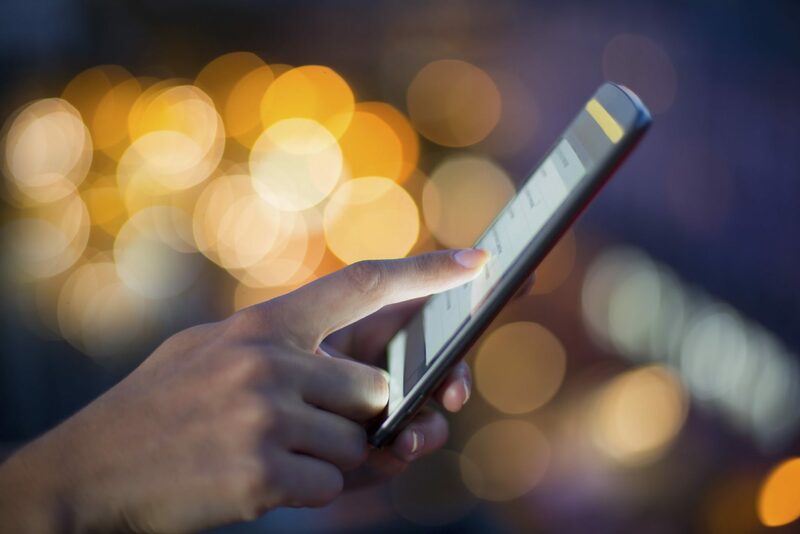 In addition to marking listings as favorites and possibilities, you and I can discuss potential listings using the Client Portal’s Listing Notes feature. The system will keep our notes as we weigh the merits of the Palos Verdes homes or South Bay real estate that you consider. To Review, the Matrix 6.3 Client Portal has been completely redesigned for today’s Palos Verdes homes or South Bay Real Estate buyer. Do you own any Palos Verdes homes? Let’s say you’re thinking of selling one. You’re not quite ready to list your home for sale, but you’re at a point where you need more information. But you don’t just want a picture of what Palos Verdes homes are for sale today and recently sold, you want to learn DYNAMICALLY when homes competitive to yours are listed and when they go into escrow. AND you want to know when they close so that you can see the sale price of the Palos Verdes homes. 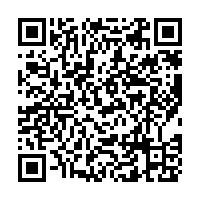 Moreover, you want to be informed in REAL TIME within seconds of an agent reporting a new listing, price change or sale on the Palos Verdes Homes and South Bay Real Estate MLS system. Contact me and I will set this program up for you. Or maybe you’re looking to buy one of the many Palos Verdes homes now for sale or if nothing is on the market right now, you want to be kept apprised in REAL TIME when something matching your search criteria is listed. 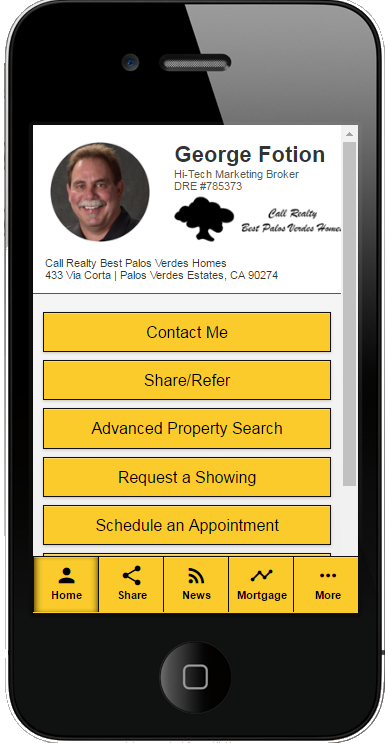 In either case the Palos Verdes Homes Search and Real Time Platform Update is the program for you. I can easily set this up for you and without obligation serve as your real estate resource.